Hello! Today I have another Color Club from their Take Wing collection. A while back I talked about this collection in this post where I showed off Daisy Does It. This is a beautiful blue/green polish! i has a bit of duo chrome properties that were a bit hard to capture but if you look at the bottle in the first picture you can see how it has some blurple undertones. The formula is thin, but not watery, and goes on sheer. I used 3 coats for these photos. Top coat is Sally Hansen Intsa Dri. I just love this. and please pardon the hangnail!!!! 😛 for some reason I didn’t even know it was there until I did a bunch of swatching and looked at my photos. So what are your thoughts on this color? Do you own any of the other colors from the collection? So the other day I went to the mall with the intention of buying China Glaze “Luxe and Lush” from their Hunger Games collection and was taken by surprise! I’m not always aware when there is a new collection, especially not for EVERY brand there is out there. Anyways- there was a pretty new display for Color Club which is apparently their spring line for 2012 called Take Wing. I try to budget tightly and plan which polishes I buy before I ever get to the store. Which doesn’t always happen! Honestly if I had the money I would have bought them ALL!!!!!!!!!!!!!!! XD I counseled with my 4 year old daughter on which color to get since I knew I could only get one. Of course being a nearly 5 year old she picked the brightest one- yellow “Daisy Does It”. Color Club, Daisy Does It. Color Club, Daisy Does It. 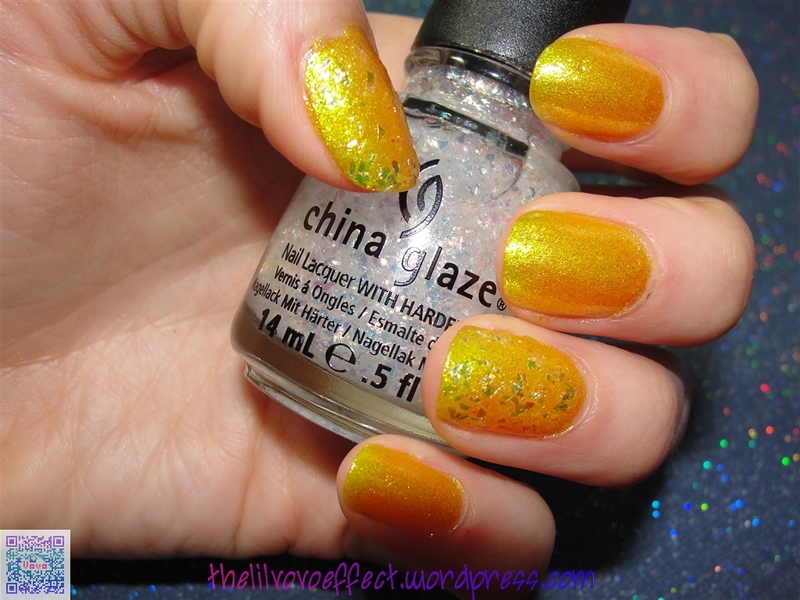 China Glaze, Luxe And Lush. Such a good pick considering I don’t own very many yellows, and this one is like a bright gold. Well…to me it is anyways. Daisy Does It is three layers and dries a little bit darker then when it is first laid on and is sheer but builds nicely.Still bright IMO. Even with three coats there is still a little bit of visible nail line I’m hoping to be able to buy a few more….I doubt that I can get them all! D’: I should also mention that it is rare that I fall in love with an entire collection. Usually there’s only one or two that I want…not all. So I did buy what went there for! 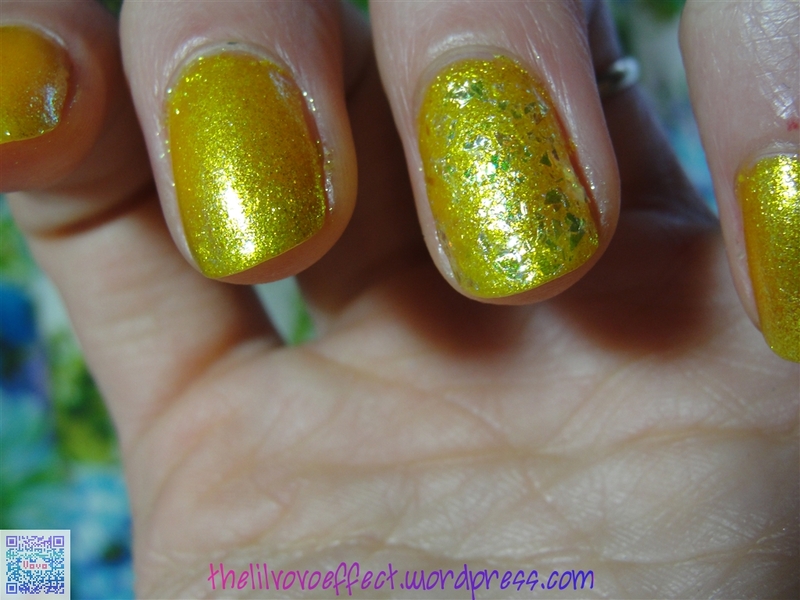 Luxe and Lush is one coat and is really smooth has a nice application. I just think it’s fabulous! Especially over Daisy Does It. There’s a few more from the Hunger Games that I would like since in person they seem a bit nicer then even what I’ve seen on other blogs. So what do you all think? Do you like brights or pastels for spring? I prefer bright spring colors! But that’s just me. Diaper Rash? Some Home Remedies & The Ointment Dilema.